So it should be pretty obvious by now that politics — campaign season in particular — is one of my favorite subjects to cover. Like anything that involves people passionate about their participation, it makes for easy pictures. Plus, that whole thing about journalism being a cornerstone of a functioning democracy… that certainly helps things! Unfortunately for me this year, my workload has kept me out of the thick of things and away from the kinds of political coverage that I used to love back at my old paper, The Tampa Tribune. Everyone already knows the reputation of Florida politics of recent history, and yes, it earned it. 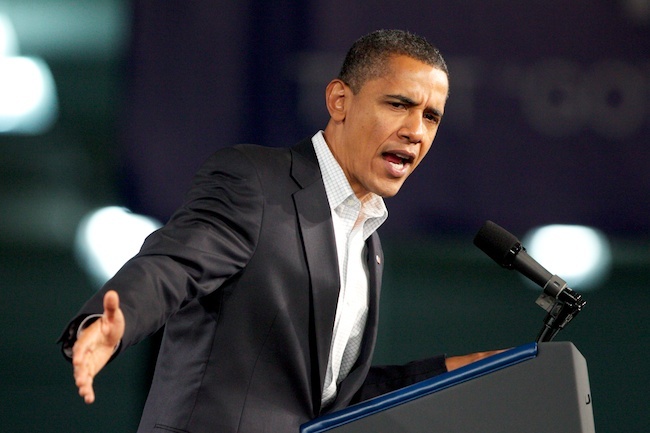 But with local races heating up with just days to go until Tuesday’s election, I’ve had my share of events — most recently President Barack Obama campaigning for Gov. 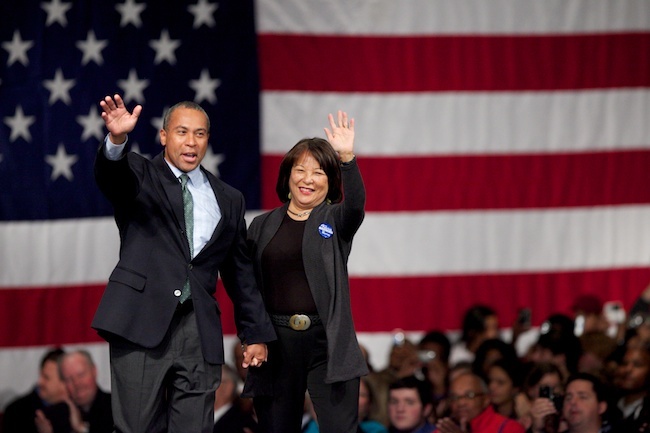 Deval Patrick. To get back on point, the subject of this post is what I covered on Saturday for the Boston Herald. Vice President Joe Biden, he of “[The Affordable Care Act] is a big f***in deal” fame, was in Quincy campaigning for 10th District candidate Bill Keating. It was sunny. It was windy. And it was cold. And one thing’s for sure — the VP likes to talk. 10.30.2010 — QUINCY, Mass. 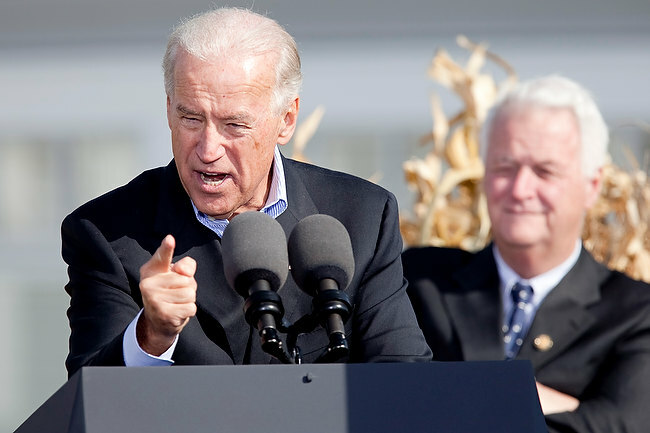 — Vice President Joe Biden gives a stump speech for Democratic candidate for congress Bill Keating, during a campaign event at the Tirrell Room in Quincy on Oct. 30, 2010. Keating is running to replace the seat being vacated by 10th District Rep. William Delahunt, seated behind. 10.30.2010 — QUINCY, Mass. 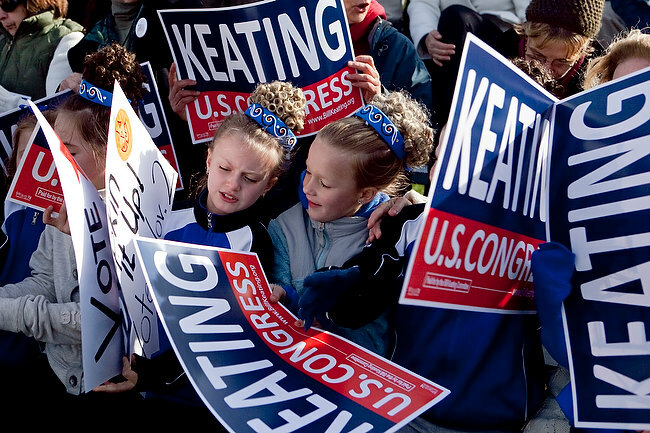 — Ryan O'Sullivan, 9, of Milton, left, and Maeve Neret, 7, of Milton look over their signs at a campaign event for Democratic candidate for congress Bill Keating at the Tirrell Room in Quincy on Oct. 30, 2010. Keating is running to replace the seat being vacated by 10th District Rep. William Delahunt. 10.30.2010 — QUINCY, Mass. 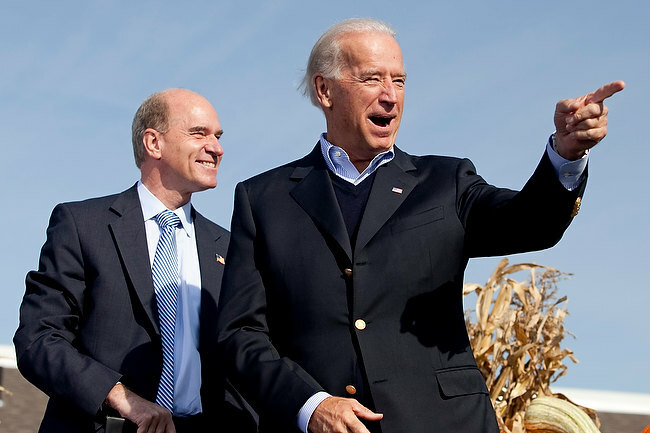 — Vice President Joe Biden, right, campaigns for Democratic candidate for congress Bill Keating at the Tirrell Room in Quincy on Oct. 30, 2010. Keating is running to replace the seat being vacated by 10th District Rep. William Delahunt. 10.30.2010 — QUINCY, Mass. 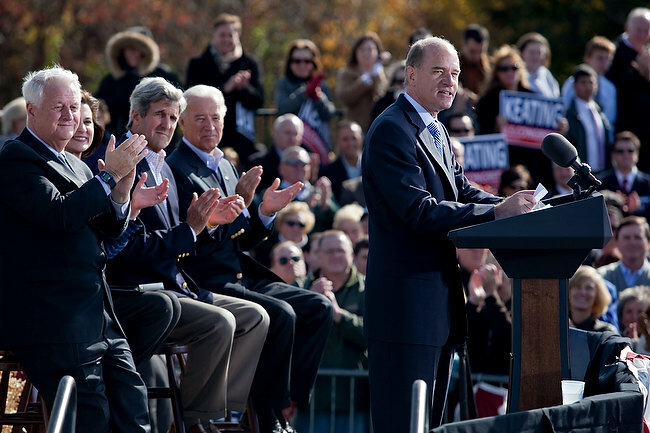 — From left, Rep. William Delahunt, Vickie Kennedy, Democratic candidate for congress Bill Keating, and Vice President Joe Biden listen to a speech from Sen. John Kerry at a campaign event for Keating at the Tirrell Room in Quincy on Oct. 30, 2010. Keating is running to replace the seat being vacated by the retiring Delahunt. 10.30.2010 — QUINCY, Mass. 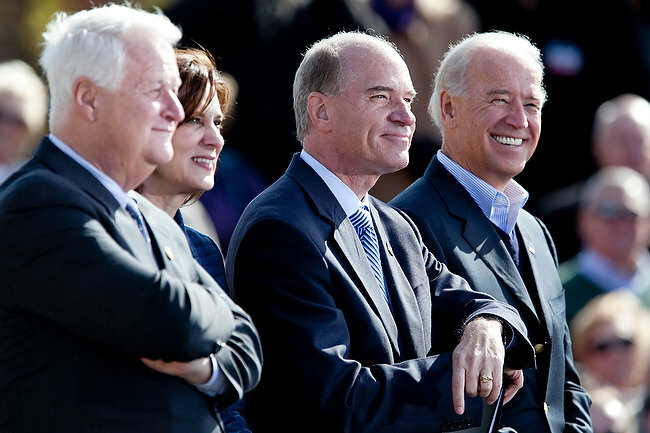 — Democratic candidate for congress Bill Keating is flanked by, from left, Rep. William Delahunt, Vickie Kennedy, Sen. John Kerry and Vice President Joe Biden during a campaign event at the Tirrell Room in Quincy on Oct. 30, 2010. Keating is running to replace the seat being vacated by the retiring Delahunt. 10.30.2010 — QUINCY, Mass. 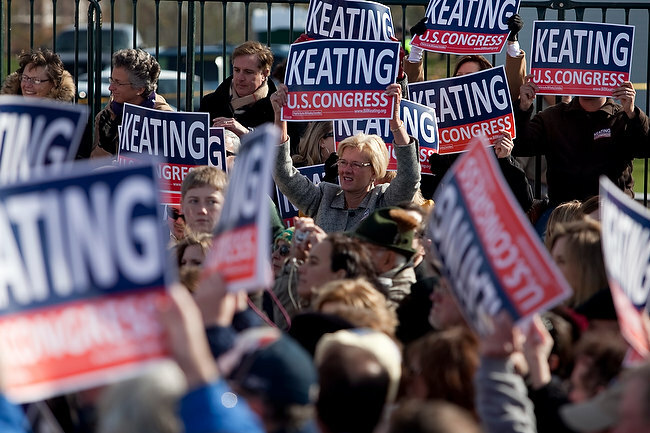 — Attendees show their support at a campaign event for Democratic candidate for congress Bill Keating at the Tirrell Room in Quincy on Oct. 30, 2010. Keating is running to replace the seat being vacated by 10th District Rep. William Delahunt. 10.30.2010 — QUINCY, Mass. 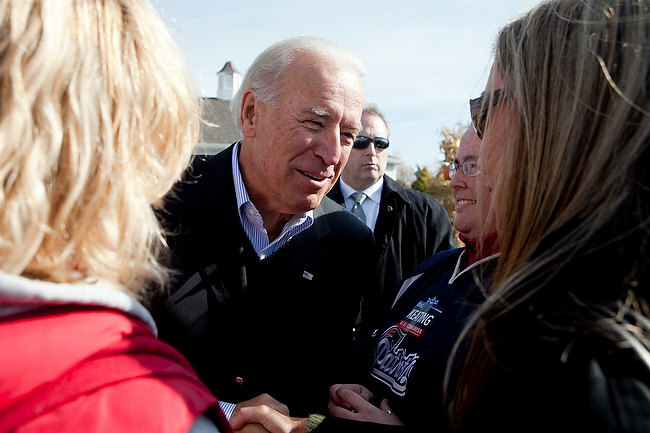 — Vice President Joe Biden greets supporters at a campaign event for Democratic candidate for congress Bill Keating at the Tirrell Room in Quincy on Oct. 30, 2010. Keating is running to replace the seat being vacated by 10th District Rep. William Delahunt. It’s been almost a month since the Red Sox ended their season officially, and with the World Series set to start tomorrow, why not drop these photos onto the blog, eh? Having worked for the Cubs, and then covering the then-Tampa Bay Devil Rays, I’ve been pretty used to covering the last game of a season for a non-playoff team. Never really wanted to cover it for my hometown Red Sox, but I didn’t really expect them to be in the mix once their major injuries started popping up in the middle of the summer. 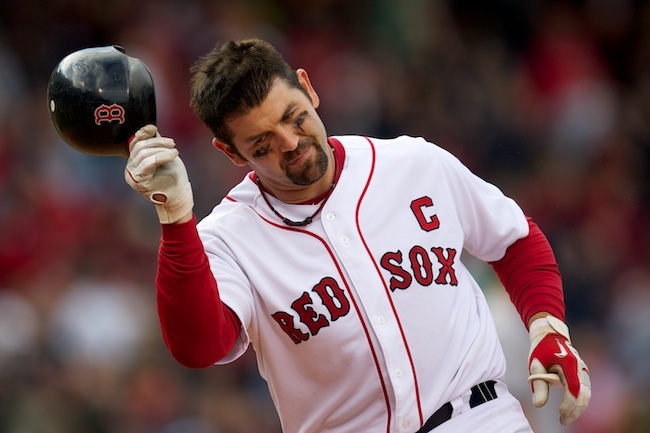 But the story on the last day of the season wasn’t the end of a disappointing season, but rather the possible last appearance of the captain — Jason Varitek — in a Red Sox uniform. No one knows for sure what will happen, but the Fenway faithful made sure to send him off in style, just in case. 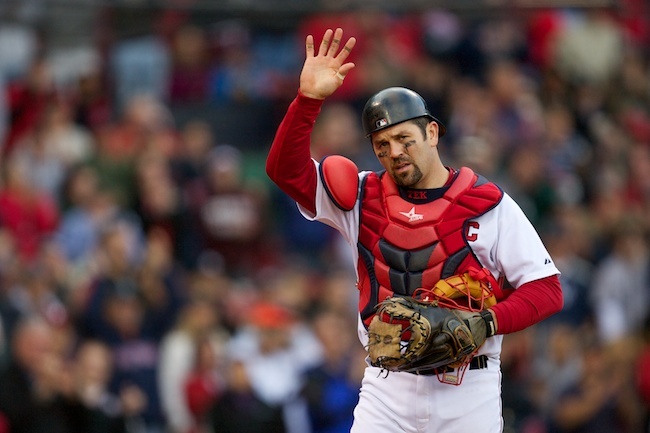 10.3.2010 — BOSTON — Red Sox catcher Jason Varitek waves the Fenway Park crowd after being pulled in the ninth inning against the Yankees on Oct. 3, 2010. 10.3.2010 — BOSTON — Red Sox catcher Jason Varitek heads back to the dugout after flying out in his final at-bat of the 2010 season against the Yankees on Oct. 3, 2010. 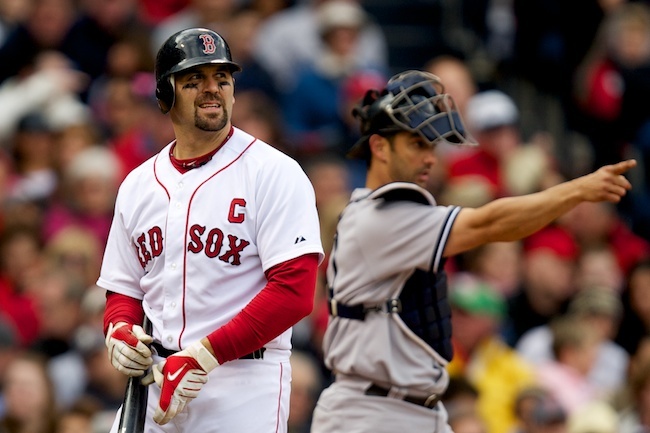 10.3.2010 — BOSTON — Red Sox catcher Jason Varitek walks back to the dugout after striking out against the Yankees in the sixth inning as Yankees catcher Jorge Posada talks to his infielders on Oct. 3, 2010. 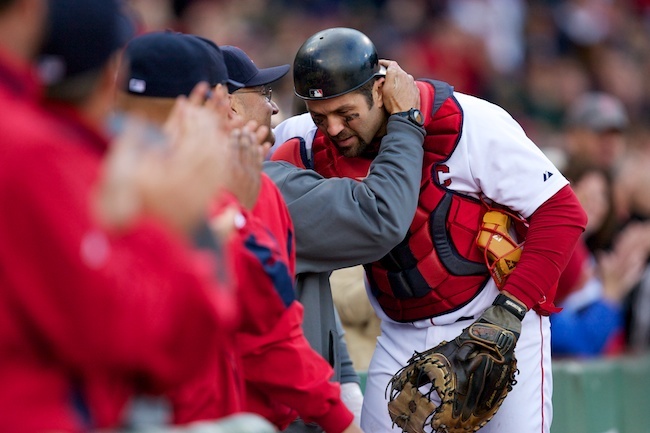 10.3.2010 — BOSTON — Red Sox catcher Jason Varitek gets a hug from manager Terry Francona after being pulled in the ninth inning against the Yankees on Oct. 3, 2010. And here’s a few more from a potentially disastrous pre-game gimmick and from the game itself. 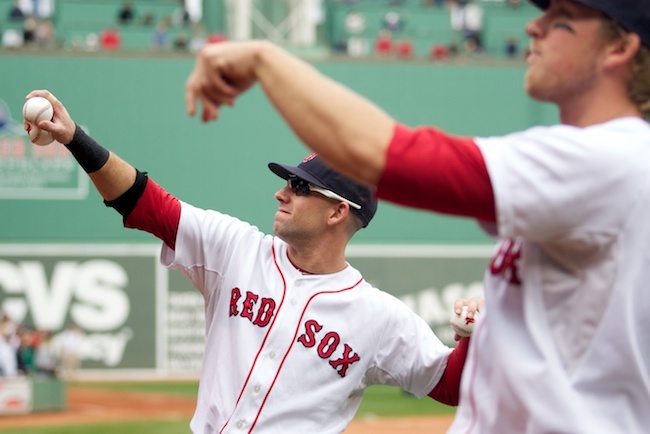 10.3.2010 — BOSTON — Red Sox Ryan Kalish, left, and Lars Anderson toss souvenir balls to fans before facing the Yankees in the final game of the season on Oct. 3, 2010. 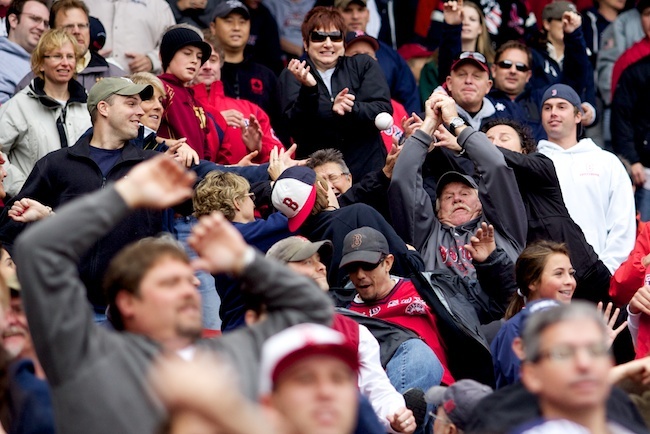 10.3.2010 — BOSTON — A few fans are caught off guard as the Red Sox tossed souvenir balls into the stands before facing the Yankees in the final game of the season on Oct. 3, 2010. 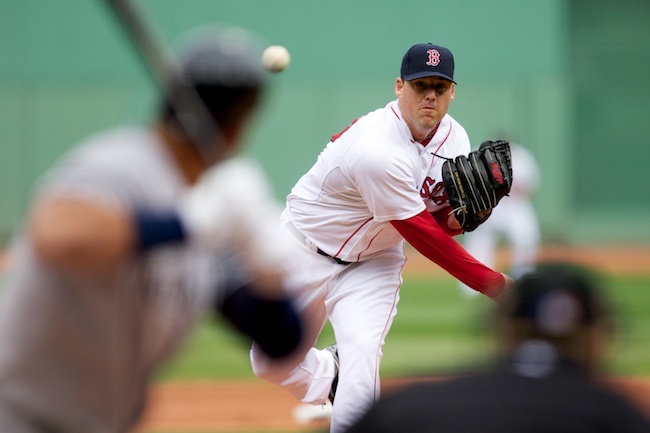 10.3.2010 — BOSTON — Red Sox starting pitcher John Lacket pitches to Yankees third baseman Alex Rodriguez on Oct. 3, 2010. 10.3.2010 — BOSTON — Yankees shortstop Derek Jeter applies a late tag on a stealing Red Sox center fielder Ryan Kalish in the sixth inning on Oct. 3, 2010. After about two weeks of database and code gymnastics, I’ve managed to correct whatever it was that was making my blog inaccessible. So, for the two of you who actually read this blog (Hi Mom and Dad! ), the wait is over. We’re back in business! Well, now that I’ve explained why I’ll be catching up and posting old content, let me just dive right in with something that’s at least somewhat relevant. Since we’re right in the thick of midterm election season, I’ll bust out some photos of a little campaign event from a few weeks ago. In case you hadn’t heard, the Democrats aren’t expected to particularly well this midterm season. Massachusetts in particular is in the middle of a tightening governor’s race. So in this bluest of blue states, that means it’s time for our incumbent Gov. 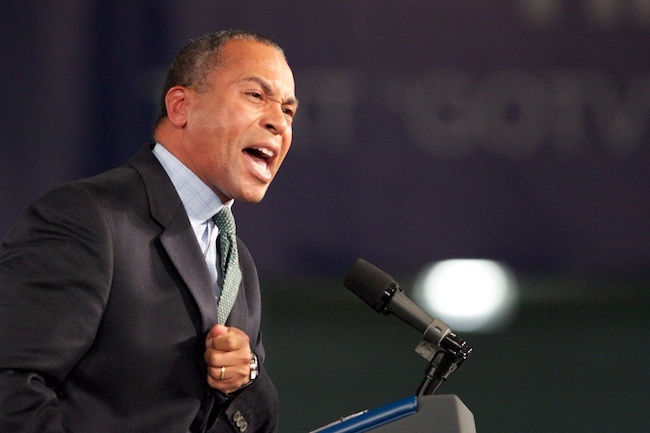 Deval Patrick to call in the heavy hitters — The President of the United States of America. Here’s a few from a campaign stop at the Hynes Convention Center that I covered for the European Pressphoto Agency. 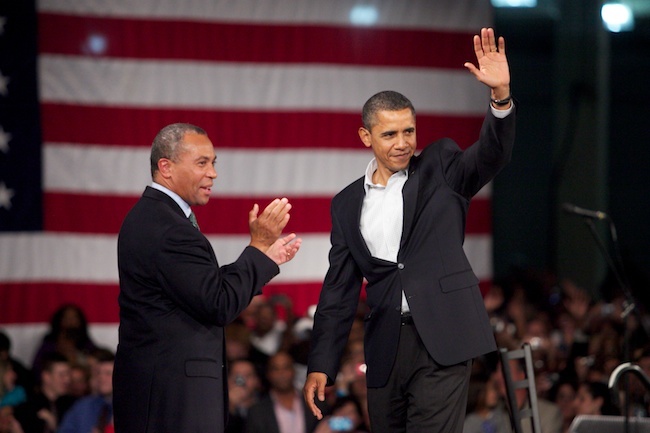 10.16.2010 — BOSTON — U.S. President Barack Obama and Massachusetts governor Deval Patrick, left, wave to the audience after Obama spoke on behalf of Patrick's re-election campaign at the Hynes Convention Center in Boston, Mass., on Oct. 16, 2010. Patrick is running for re-election in a tightly contested race. 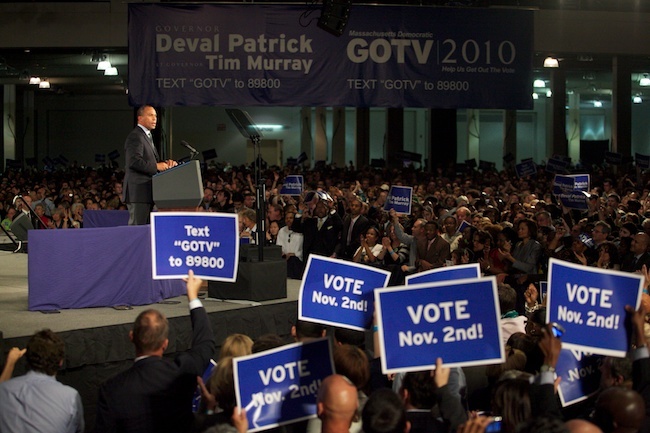 10.16.2010 — BOSTON — U.S. President Barack Obama speaks at a campaign event for Massachusetts governor Deval Patrick at the Hynes Convention Center in Boston, Mass., on Oct. 16, 2010. 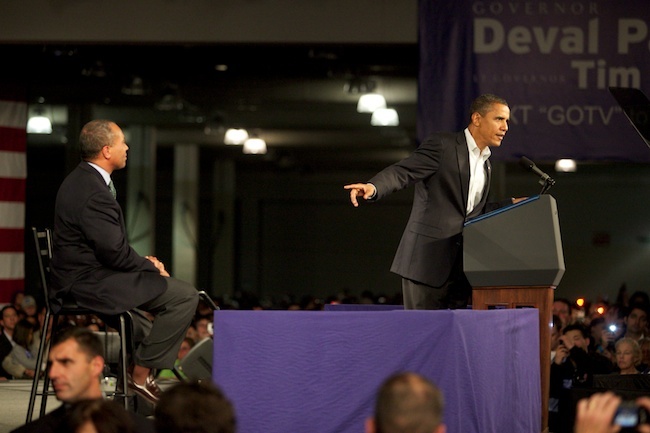 U.S. President Barack Obama speaks at a campaign event for Massachusetts governor Deval Patrick, left, at the Hynes Convention Center in Boston, Mass., on Oct. 16, 2010. Patrick is running for re-election in a tightly contested race. 10.16.2010 — BOSTON — Massachusetts governor Deval Patrick speaks at a campaign rally for his re-election at the Hynes Convention Center in Boston, Mass., on Oct. 16, 2010. Patrick is running for re-election in a tightly contested race. 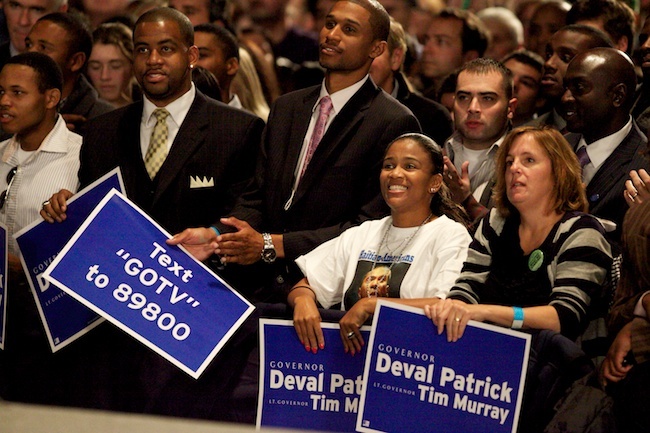 10.16.2010 — BOSTON — Supporters of Massachusetts governor Deval Patrick listen to the program at the Hynes Convention Center in Boston, Mass., on Oct. 16, 2010. 10.16.2010 — BOSTON — Massachusetts governor Deval Patrick and his wife, Diane Patrick, listen to singer James Taylor perform while backstage at his campaign rally at the Hynes Convention Center in Boston, Mass., on Oct. 16, 2010. 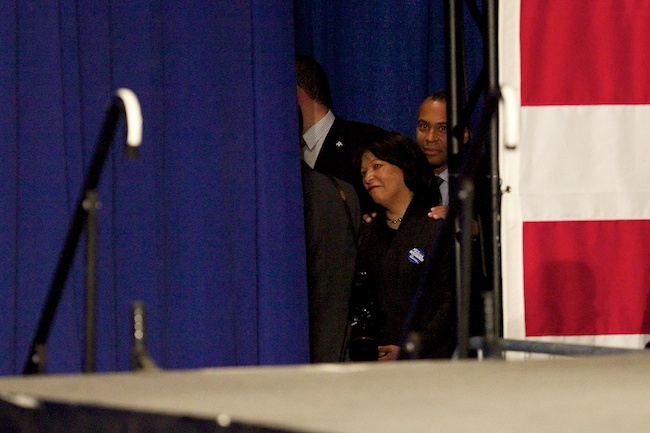 10.16.2010 — BOSTON — Massachusetts governor Deval Patrick and his wife, Diane Patrick, walk to the podium during a campaign event at the Hynes Convention Center in Boston, Mass., on Oct. 16, 2010.